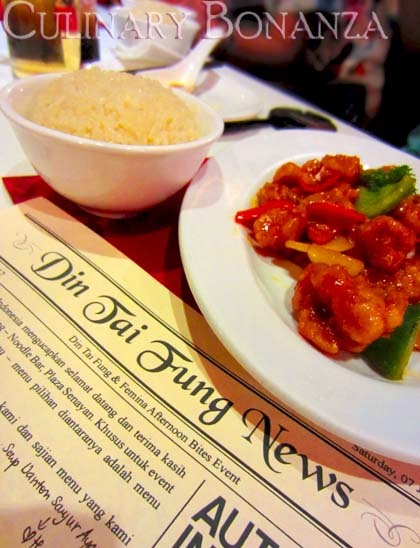 Exactly 2 weeks ago, Femina and Din Tai Fung Indonesia organized an event titled Afternoon Bites with Din Tai Fung & Femina. Femina kindly invited food bloggers to join this event and I've always loved Din Tai Fung, how could I possibly turn the invitation down? ;) Thank you Femina & Din Tai Fung for hosting this gathering, it was a bountiful event and everyone left not only with happy bellies, but also joy & laughter we shared with friends . Blackcurrant Bubble Tea: Tasted refreshing, not too sweet, bubble tasted average...good average =) Oh, this drink saved me from the tongue-burning spicy enoki (3rd photo). 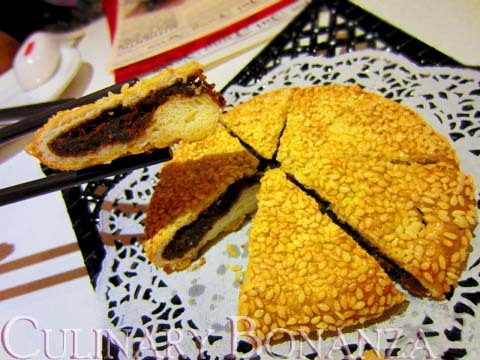 Beef Floss Pancake ala Shanghai: The fried pancake had texture like that of bread, but my friend said this type of pancake (bread) is commonly found in dim sums. The beef floss is sweet & generous enough to whet your appetite. 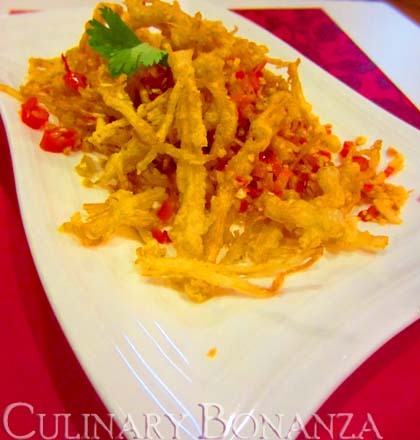 Crispy Fried Enoki Mushroom with Chili: Warning, this is very spicy, and the spiciness didn't only come from the red chili chunks, the flour batter wrapping the enoki was spiced too! Multiple hotness to burn your tongue. I gulped lots of water after just a few strands of this! This snack is quite addictive, despite the greasiness. 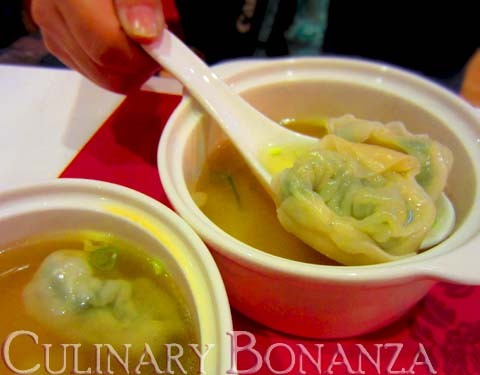 Chicken & Vegetable Wonton Soup: I love the clear broth soup, so fragrant! And of course, the dumplings too. 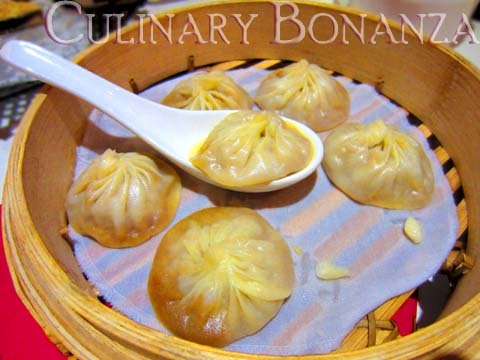 Satay Xiaolongbao: This is the highlight of the whole meal. Satay Xiaolongbao will only be available from July - August 2012 (during the Ramadhan). Tasted sweet from peanut sauce and it is no supposed to be dipped into vinegar / soya sauce like what we normally do when eating original xiaolongbao. Give it a try, but if you're not into sweet stuff, I would not recommend this for you. Hainanese Rice: Savoury & rice is well cooked, the seasoning could use more garlic to add more fragrance to the rice, though. 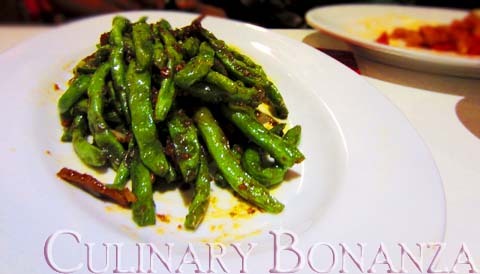 Shanghainese Smoked Fish: A little too sweet for most people. 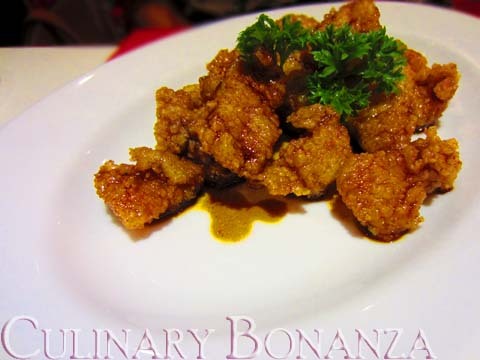 It uses dory fish, which is tender & odorless. Maybe if the sweet seasoning could be toned down a little bit more, I would be a huge fan of this one. 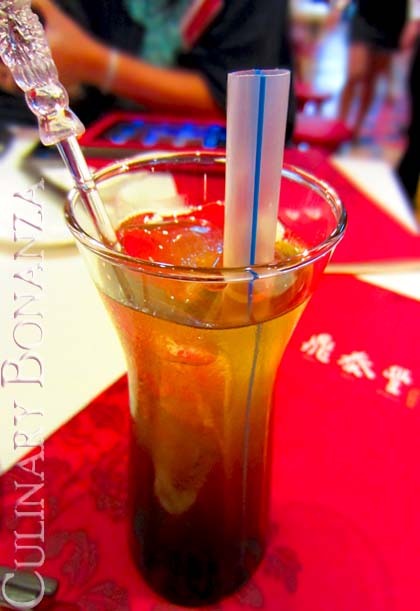 Mango Fantasy: Perfect for sharing among 4pax. The top scoop is Haagen-Dasz Mango Ice Cream, it's really good! The slush syruped ice had that tiny hint of artifical sweetener, or is it simply too sweet? But this dessert is still a sweet way to end your meal =) Din Tai Fung seems to specialize in mango-themed desserts, because I saw more than a handful items in the Desserts Menu featuring some old-time favourites like mango pomelo and interesting twists like this Mango Fantasy. Open Hours: same as mall's operational hours, except Plaza Senayan Arcadia outlet.